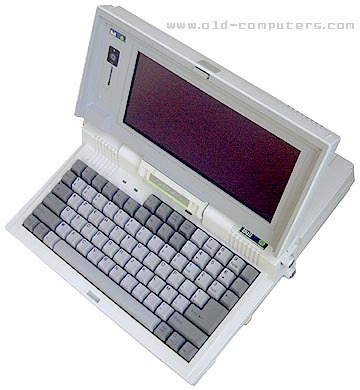 "L'attach�" was the first Bull attempt to produce a portable PC-compatible computer. It was not made in France by Bull, but in Japan. This computer was mainly sold to french public services, as they were obliged at the time to buy french-made computers. But "L'attach�" was not very successful in the private sector when it was launched, because there were many competing that were technically more advanced and cheaper. The system hardware was made of two separate modules. A motherboard/display module, and a backup module that could be fitted with one or two 3.5" 720 KB floppy disc drives or a 20 MB hard disk. SIZE / WEIGHT 33(W) x 33(D) x 8.5(H) cm. see more Bull L'attach� Ebay auctions !